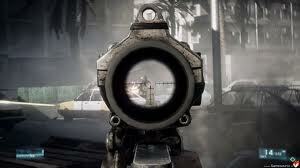 For many, Battlefield 3 was one of the most anticipated video games and First Person Shooters of the year. Creating the game’s very own dedicated graphics engine to enable players to feel as if they are right in the middle of the fire fight, Battlefield 3 definitely does not disappoint. Battlefield 3 is more or less your typical FPS, and honestly as most people can tell you, if you’ve played one, you’ve played them all. However, Battlefield 3 has gone out of its way to create a very unique gaming environment. For anyone who has actually been in the military or dealt with the various weapons presented in the game, there are several very minute details that the game has painstakingly gone through to make this game as realistic as possible, all the way down to the serial numbers on weapons, money, and various other items. Each new item is truly something new in the game. Wherever possible, Battlefield 3 has tried to be true to life. Whether you play the game to play with friends or just to shoot the hell out of some OP-FOR in Multiplayer mode, Battliefield 3 is sure to be enjoyable. At the moment, I’ve severely neglected the Single player mode, as I’ve been focusing heavily on co-op and multiplayer maps. The Co-op unlockable items are a huge addition to your arsenal, and I really cannot say how entertaining it is to get fully submersed in the missions. Now, granted, not everyone’s gaming experience is going to be the same as mine. I’m in the military and my Co-op partner is ex military. We both got extremely into it, but it was hard not to. My husband even commented on just how tactical we were being while using skype to communicate. And of course, we cannot go without mentioning the multiplayer aspect. The multiplayer maps in this game are so incredibly diverse. One match you could be crawling along the floor or an underground subway station to capture a point and the next, you could be gunning ( or flying!) on a helicopter, providing air support for ground troops while the OP-FOR attempt to use a similar arsenal to control the map. Some matches can take hours, others a few minutes. Battlefield 3 also adds an interesting element with the diversity in vehicles. From all terrain buggies to fighter jets, Battlefield 3 has a vehicle for everyone, taking the battle from the ground and to the skies. Now, for the inexperienced player, it should be noted that you won’t be able to automatically just drive whatever vehicle you choose to. While you can get in any vehicle, you will quickly learn that certain vehicles require the development of different skills. For instance, when flying a helicopter, you have to control altitude, pitch, and roll in hopes to not stall your engines, as well as not crash… and it can be confusing, especially if you have a gunner who is trying to give you directions on where he needs to be so he can hit a target. While it does take some time to get used to, just about anyone can learn to use every vehicle efficiently. After spending a considerable amount of time playing this game, all I can say is,look out Modern Warfare… a new era of FPS is on the horizon.